These are the construction and electrical plans for the Crown Point Press aquatint oven. The Crown Point Oven is a large, flat, insulated box with a heating element under a heavy piece of steel. 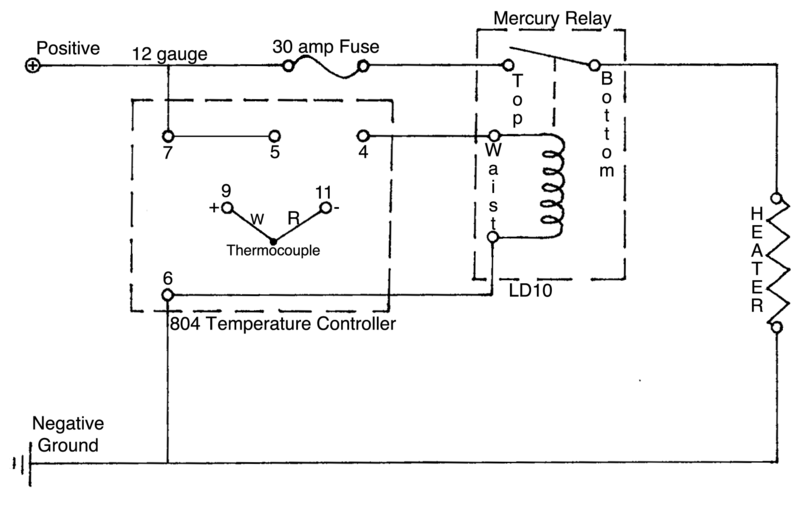 The heating unit is controlled by a thermostat. One advantage of the customized aquatint oven is its ability to accommodate very large plates. Another advantage is precise temperature control. • Always use an oven timer. Consistent timing is important. • Use oven mitts to move the hot plates. *You will need a bunch of ¼-inch dowels to rest the aquatint plate on so it doesn’t get hotspots and heats evenly. The dowels should be spaced about 1″ apart. If there are too few dowels the plate can bow in the center, causing the aquatint to melt unevenly. NOTE: Having a dedicated oven is ideal, but if you have a grounds hotplate with a thermostat you can adapt it by building a base (of foam or plywood) that extends a few inches out from underneath the hotplate on all sides, and a boxlike top for it with aluminum covered insulating foam. Hinge the foam on one side so you can open and close it, or make a removable lid. The lid should close around the hotplate, resting on the base. 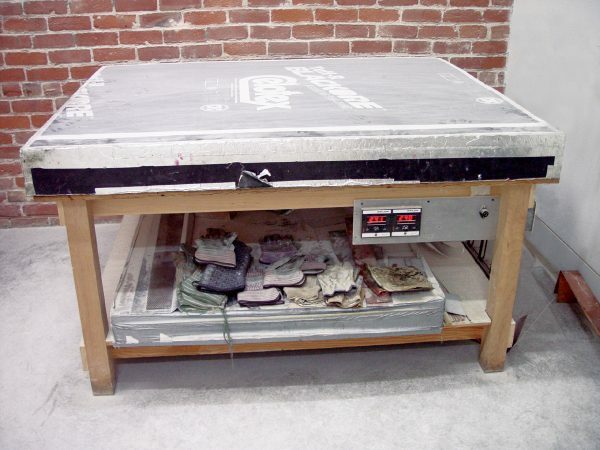 You can purchase a commercial hotplate from a printmaking supply company. Make sure the plate you choose is capable of heating up to 240 degrees. A Broil King hotplate, suitable for rolling wax grounds, for instance, is much cheaper than the Graphic Professional Hotplate but only heats up to 200 degrees. If you are using a commercial hotplate, always check the temperature with a kitchen oven thermometer before you put in your plate. You can read a complete guide to using custom and improved aquatint ovens in the book Magical Secrets about Aquatint by Emily York, Crown Point Senior Master Printer.